With over 25% of the top Android apps using it, EventBus is more popular than ever before. 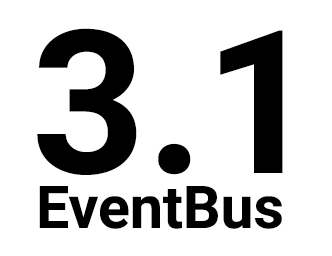 So we’re very happy to announce EventBus 3.1 today. Starting with this release, EventBus works with plain Java (non-Android) projects. This has two major benefits: Firstly, it opens up EventBus for all Java developers and makes it usable for server and desktop applications. Secondly, it allows Android developers to use EventBus in local unit tests. Before, you had to use instrumentation tests which are slow and require a device. In contrast to this, plain Java unit tests are blazingly fast as they run directly on your desktop machine.